Integrity is one of our guiding principles. We are committed to continually demonstrating honest and ethical behavior in order to earn the trust of our community. Being transparent about our operations is one of the many ways we strive to keep our lines of communication open and bring the community in to what we’re doing as an organization. 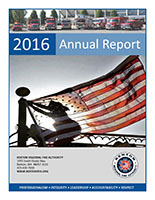 This section of our website is home to our Annual Reports. 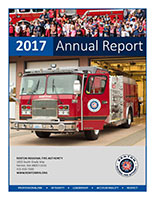 Our Annual Reports contain messages from the Renton RFA Governance Board and Fire Chief, our organizational chart, service area map, fire station information, overviews from each of our divisions, a summary of our stats for the year, as well as any awards or special recognition within the organization.